After Celtic Knights 'The Best of What's Left' Junker has returned to his duties in Dublin. When a Dublin Crime Boss calls a meeting of all the Bosses Junker is on hand to find out what is going on. He doesn't know that this one event will lead him on to fight against Ninja, Robots, and a massive Great White Shark. 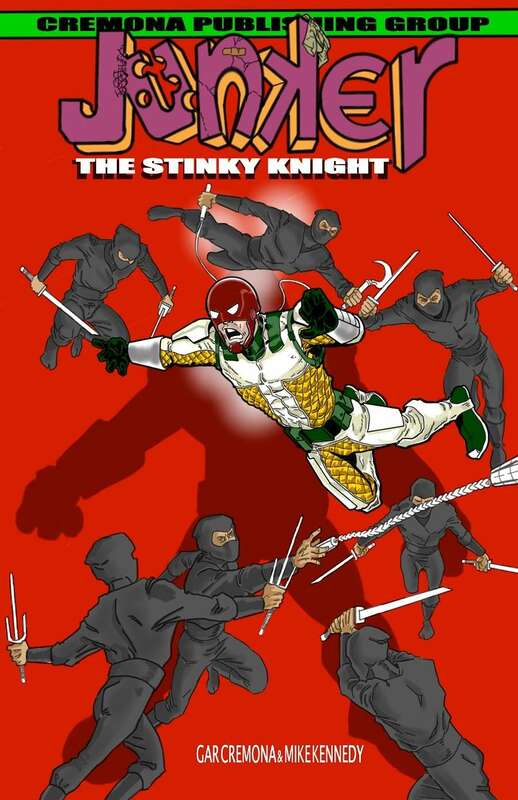 The Stinky Knight will rise. Junker is Dublin's hero, maybe not the hero that Dublin deserves, but the hero that Dublin can smell. This title was added to our catalog on September 15, 2015.